Residents of Larsen Bay are working to keep recycling alive for the population of around 70 people. Postmaster and Larsen Bay tribal councilman Richard Henson opens a container that is doubling as a recycling center down the road from where the airport, post office, school and city building are clustered together. Garbage bags cover one wall of the container. “That’s probably maybe a month, two months. Mostly beer cans,” Henson said. Henson says the number of cans increases in the summer when lodges open and guides move in. As a member of the tribal council, he helps oversee funds for recycling in the village. Larsen Bay was part of a federally-funded project to remove roughly 2,600 tons of scrap metal from the Kodiak Archipelago communities between 2015 and 2016. They’re working with the Indian General Assistance Program, or IGAP, to fund an ongoing recycling program. Henson says IGAP funds – about $36,000 this year according to council staff – goes toward keeping the amount of trash and the number of aluminum cans under control. Henson says government funding is also how the community bought the multi-baler, which they purchased in 2012 for almost $18,000. It’s set up at one end of the storage container. The machine can compact anything from 55-gallon drums to cardboard boxes. Henson says the city mayor is working on making some modifications to the machine to fix that problem. Just outside the shipping container, there are several rows of large metal drums which Henson says are now empty. Henson points to an empty spot on the property, where he says they hope to build a storage space. 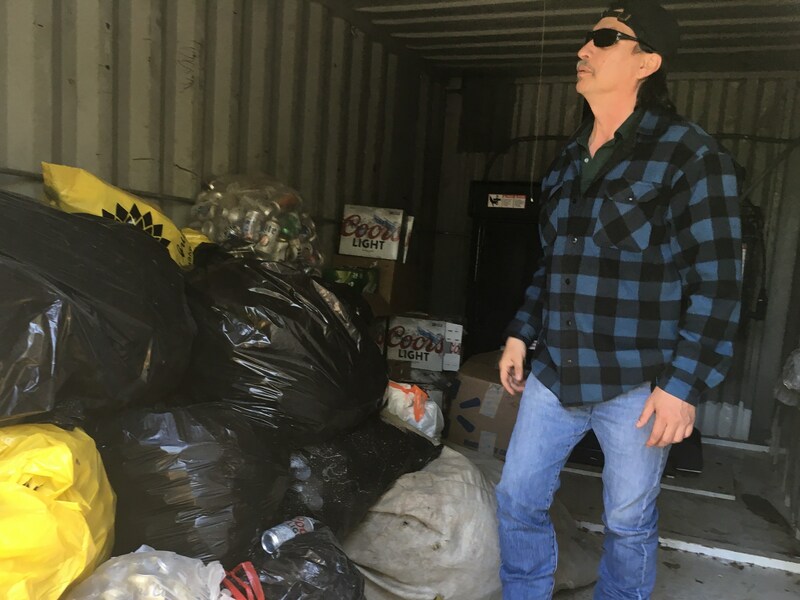 That way, they can process the cans, shrink wrap them and store them neatly in a nearby facility, a step which he says could make it easier for barge companies to remove the recycling. “A lot of ‘em when they hear aluminum cans, they’re thinking garbage bags that are ripped open and smell like old beer and sticky soda and stuff like that,” Henson said. He says Larsen Bay wants to use IGAP funds to construct the storage facility next year and strike a deal with a company to haul the recycling out of the village.